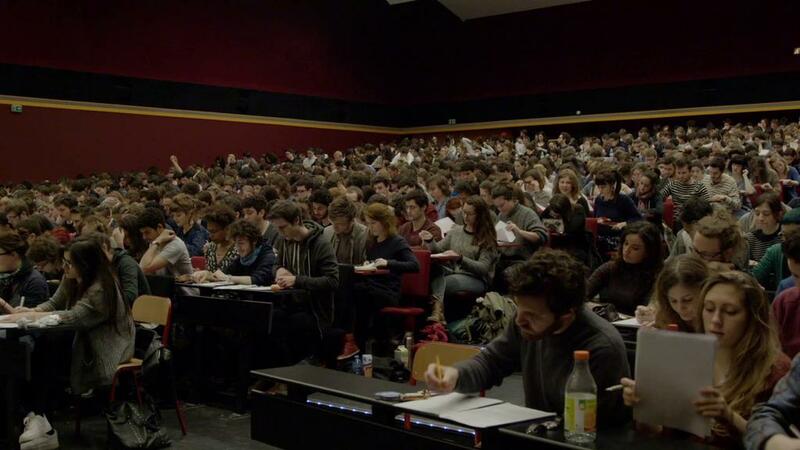 Claire Simon delves into the daily life of the Parisian cinema school, la Fémis, once home to Alain Resnais, Arnaud Desplechin and Claire Denis (and director Claire Simon, who used to teach there). Here a specific ideal of excellence is practiced and entry into which can be summed up as follows: “Everyone’s equal, but only the best get in.” Simon establishes a portrait of our relationship to excellence in the Art world and of one of the most prestigious schools in France – a place of culture where generations intermingle. Wide-eyed prospective students take three entrance tests (written, practical and oral), with each individual’s merits and failings exhaustively debated at each stage by the school’s teachers and observed fly-on-the-wall style by Simon.